Dennis and Jan Gallaher have been caring for God's people for over 40 years. Since 1988, their assignment has been Freedom Fellowship Church. They have two grown sons, James and Joseph, two daughters-in-law, Kelly and Corrie, and five grandchildren, Carson, Caitlyn, Emilie, Noah and Eli. Dennis has a degree in Ministry from Hill Country Bible College, a BA in Biblical Counseling from Trinity College and a MA in Professional Counseling from Texas State University. In their heart of hearts, they are committed to shepherding God's people and loving His church with sincerity and dedication. James and Kelly were married in 2001. They are blessed with three children, Carson, Caitlyn, and Emilie. As Co-Pastor, James shares preaching responsibilities as well as mentoring marriages and young adults. Prior to this, James led our student ministry for 18 years with passion and dedication. He has been on staff at Freedom Fellowship since 1998. Tyler joined the Freedom Fellowship staff in October of 2013. Tyler and his wife, Brittney, have been attending Freedom Fellowship since 2009 and have been married since 2010. They have four daughters, Tegan, Finley, Quinn, and Rainey. Tyler has a bachelor's degree from Texas State University and a Masters of Divinity from Trinity Theological Seminary. Tyler’s main responsibilities at the church are overseeing home ministries as well as Abba’s House Bible Training Center. His heart is to see the people of God transformed through both intentional fellowship and engagement with His Word. Jarrod and his wife, Tara, met in 1996 and were married 5 years later. They started attending Freedom Fellowship in 2008 and have 5 children, Crosby, Charleigh, Faith, Maybre and Atticus. As the Executive pastor, Jarrod oversees the day to day operations of Freedom Fellowship. As Student Pastor, he desires to see a generation grow in God and to empower them to demonstrate the gospel in love to a lost world. His heart is to create an environment where students begin to understand what it means to experience true intimacy with God and others. Jennifer is the Pastor of Women’s Ministry at Freedom Fellowship Church. Jennifer and her husband, Chris, have attended Freedom Fellowship since 2005 and have three young boys, Tanner, Colten and Clint. Jennifer graduated in 1999 from Portland Bible College with a Bachelor's degree in Theology. Her heart is for the women of Freedom Fellowship, and she is passionate about serving them. Her desire is to see them become godly, confident and righteous women who make a difference in their families and community. As Children's Director, Meagan's passion is to see families and children fall in love with Jesus and then share that love with their surrounding community. Her heart's desire is to see children at Freedom Fellowship know what it means to have a real relationship with their Savior and learn how to live for Him. Meagan has served in various children's ministries over 10 years. She and her husband, John, have a daughter named Ella and a son named Samuel. Meagan Carpenter is the Nursery Director at Freedom Fellowship. She has been a part of Freedom Fellowship for over 16 years and served in various areas of children's ministry for over a decade. She and her husband, Matt, married in 2008 and have two sons, Judah and Micah. Meagan finds joy in teaching little ones about how great God's love for them is and believes that even young children can experience real relationship with the Lord. Travis Keas joins the Freedom Fellowship staff as the Graphics and Media Director having graduated from Texas State University with a Bachelor’s Degree in Advertising and Design. Growing up in Freedom Fellowship, Travis was a part of the youth group in high school and served for several years on the youth leadership team throughout college and into his early career. He is married to his wife, Grace, who volunteers with the Pre-School aged kids on Sunday mornings, and is basically pure awesomeness. They have been married since September 2011, have two daughters and love serving the Lord and His church. Mikey joined the Freedom Fellowship staff in 2015 and has been a part of Freedom since 2013. He oversees all the Custodian/Maintenance needs, and coordinates with all the ministries. His heart is to provide a clean and safe environment for people to come and fellowship with God and others. He and his wife, Donna, got married in 2012 and have two daughters, Isabella and Mabel, and a son, Ezekiel. His favorite hobby is glassblowing and one of his favorite scriptures is Psalms 119:9. Kim serves as the church bookkeeper. 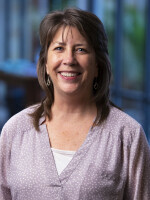 Kim and her husband, Danny, have been part of Freedom Fellowship since moving to New Braunfels in 2003. They were married in Houston, Texas, in 2000, and have two children, Trinity and Micah. She received her Bachelor's degree in Accounting from the University of Houston in 1998. Kim enjoys playing competitive tennis (when she wins!) and serving God alongside her husband. John David Martinez is married to Judy Lynn and has two children and two grandchildren. After serving his country as a Marine from '71 to '75, he played music professionally for 15 years. Turning to the Lord, he gained a passion for serving the Lord through worship. John David served as a worship leader for 12 years at CBC before joining FFC in 2017. He is president of JDMartinez Ministries that was founded to serve an orphanage in Peru. Leading mission teams to Peru for many years, he plans to continue to lead as the Lord provides, encouraging adults and youth to serve God in some capacity. Valerie joined the Freedom Fellowship staff in 2018 and serves as an administrator in the office. She enjoys loving and serving God's people and His church. Valerie is married to Kent and has three grown children. She enjoys reading God's word, helping people and loves serving at Freedom. David and his wife, Marie, have been a part of Freedom Fellowship since 2013 when they relocated to Canyon Lake. David’s call to serve has continued and brought him to this point in life where he is able to work full time serving God. David has a BS in Criminal Justice and a MPA from Park University, Haumpton School of Public Affairs. He and Marie both attended and completed the initial course of study for FFC’s Abba’s House, and they are home ministers. David works in the area of Men’s Ministry, Facility Management, and assists other staff as needed. Roy joined the staff at Freedom Fellowship in January of 2018. Roy moved to New Braunfels from Dallas in 2014 and has been attending Freedom Fellowship since the summer of 2016. His service at Freedom includes Men’s’ Ministry, campus maintenance and improvement projects, and support for the staff and Sunday services. Roy has two grown stepchildren, a son who lives here in New Braunfels and a daughter who lives in Dallas.